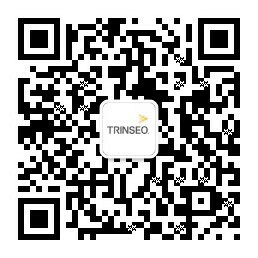 Trinseo (NYSE: TSE), the global materials company and manufacturer of plastics, latex binders and synthetic rubber, will showcase its three new industry-changing product releases at K-Show 2016, setting new performance standards in Home Appliances, Automotive and Medical applications. Demonstrating its focus on customers and their changing market needs, the company will offer insight into its unique blend of cross-market competencies and capabilities, its innovation pipeline and strategic vision. As a recognized, award-winning technology leader, Trinseo provides value to customers through a wide-ranging portfolio of competitive, high-quality and consistent products – each designed to customers’ application needs. The company will bring together more of its business areas than ever before at K-Show, highlighting key accomplishments from its Performance Materials and Basic Plastics divisions. Trinseo’s Basic Plastics introduces STYRON X-TECH™ 2175 Polystyrene resin for home appliances. Developed from proprietary technology and built on the foundation of industry-changing STYRON A-TECH™ 1175 Polystyrene resin, this next generation of polystyrene offers a unique performance combination for superior benefits, including improved rigidity and strength along with advanced down-gauging and up to 10% material savings for OEMs. Trinseo Automotive expands its portfolio with its 85% Long Glass Fiber (LGF) Polypropylene (PP) concentrate product family for automotive semi-structural applications. ENLITE™ PP LGF 1851 and 1852 Structural Polymers are the latest innovation in Trinseo’s ENLITE™ Structural Polymers portfolio, built on the company’s in-depth market knowledge and polymer expertise. ENLITE™ Structural Polymers products are developed for instrument panels, door modules, front-end modules, tailgates, and other interior and semi-structural applications that require a balance of dimensional stability, heat resistance and weight optimization. A step-change improvement over the previous industry benchmark of 60% LGF concentrate, the new ENLITE™ Structural Polymer products have the highest glass fiber concentration (85%) of any PP LGF concentrate available commercially for automotive semi-structural applications, enabling lighter weight interior parts at lower total cost compared to steel and aluminum. Trinseo Consumer Essential Markets (CEM) expands its presence in the medical market with the introduction of a biocompatible polystyrene: STYRON™ 2678 MED Polystyrene resin. This enhanced resin meets a growing need, especially in medical packaging, for a medical grade polymer that offers the versatility of polystyrene, protects its contents and provides an added degree of assurance through ISO 10993 compliance and an extended notification of change. Besides being used for clear packaging, the material is suitable for diagnostic components and petri dishes and provides an alternative to general purpose food grade polystyrene. Trinseo Synthetic Rubber showcases its commitment as a strategic partner to its fastest-growing market segment: performance tires. The company serves this market as an independent player, supplying differentiated high-quality and consistent solutions on a global scale, investing constantly in innovation and new product development to meet customers’ evolving needs. K-2016 is being held October 19-26, in Düsseldorf, Germany. For news about new product launches and to experience Trinseo’s broad portfolio of material solutions, visit us at stand E60 in Hall 6. To arrange a private meeting to discuss your material challenges, email k2016@trinseo.com. Trinseo (NYSE: TSE) is a global materials solutions provider and manufacturer of plastics, latex binders, and synthetic rubber. We are focused on delivering innovative and sustainable solution to help our customers create products that touch lives every day - products that are intrinsic to how we live our lives - across a wide range of end-markets, including automotive, consumer electronics, appliances, medical devices, lighting, electrical, carpet, paper and board, building and construction, and tires. Trinseo had approximately $4.0 billion in revenue in 2015, with 15 manufacturing sites around the world, and more than 2,200 employees. For more information visit www.trinseo.com.